Wireless charging technology is no longer new. But, this year, Samsun is taking it a bit further with the Galaxy S10 Family and now even the company's latest smartwatch, Samsung Watch Active also support wireless charging. So, if you have not switched to using a cordless charger to charge your Samsung device, I think this could be the right time to try it out. 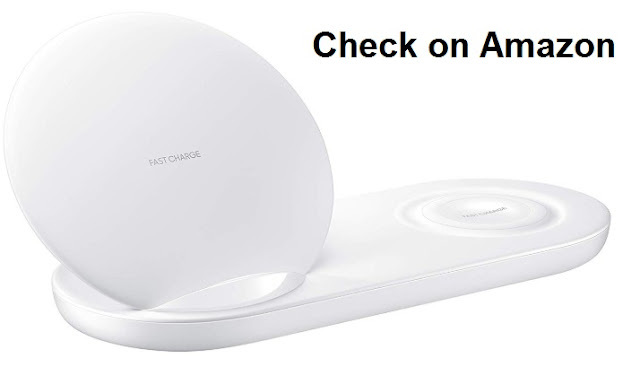 In this article, are the best Wireless Chargers or say Qi-charger for your latest Galaxy S10 and Samsung Watch Active that we have found on Amazon. Some of them can also charge iPhone devices. 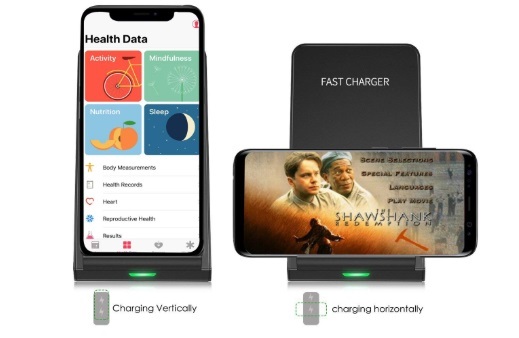 Keep in mind that some of the things we considered before any of the chargers make this list includes; Fast Charging, Qi-Enabled, Case Compatible, Foldable Stand, Charging Pad Stand, 10W, Qi-Certified and more. SO, here are the 10 Best Wireless Charger for Samsung Galaxy S10, S10E and S10 Plus. 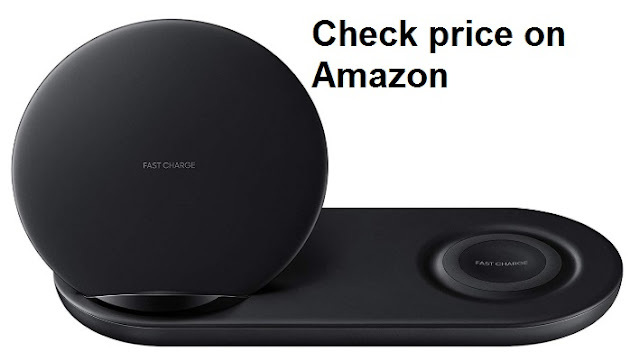 Samsung launched this DUO wireless charger Pad along with the latest Galaxy S10 family. This charge is the upgraded version of the last year's DUO charger, it comes with Fast Charge 2.0 capabilities. This charger is a Certified Refurbished product has been tested and certified to work and look like new, with minimal to no signs of wear, by a specialized third-party seller approved by Amazon. Backed with a 90 days warranty, so you have nothing to worry about. 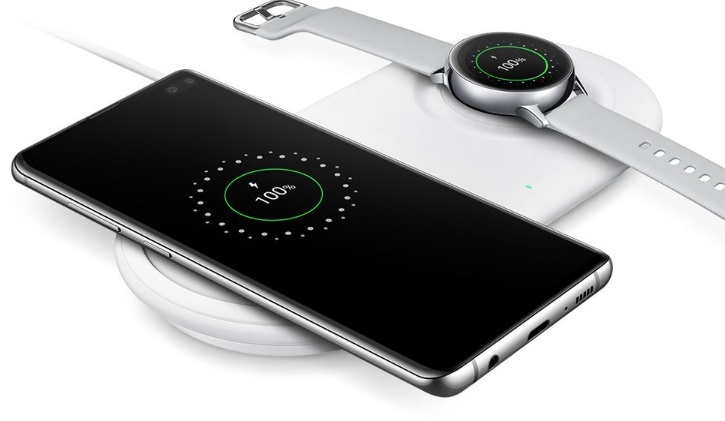 Along with charging the Galaxy S10, this charge can also support wireless charging on Qi compatible devices including the Samsung Galaxy S9, Samsung Galaxy Note9, Samsung Gear S3, Samsung Watch Active, Apple iPhone 8, Apple iPhone X, and more. Here is the black color in case you don't like the white version of the Wireless Charging DUO Pad. This has the same features as the one listed above, just that they of a different color for those that do not like white. Supports Samsung’s latest Adaptive Fast Charge 2.0 standard and it goes on sale at a cheaper price as compared to the white. You can save up to $20 from the deal. Check Price on Amazon. 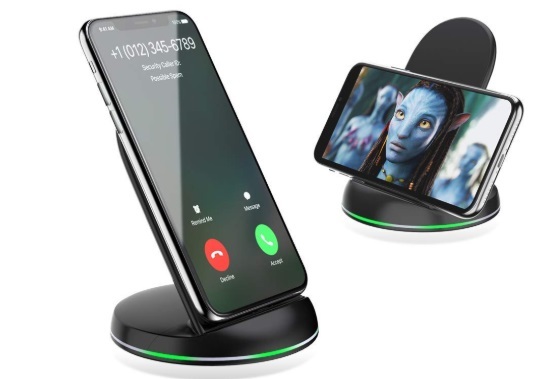 The pad has two bult-in fast wireless chargers stand coil that allows it to charge cell phones vertically or horizontally and provide the owner with a more flexible choice for facetime reading, listening to music, watching a video or work sessions. And the charger works with almost all kind of cases, so you don't have to remove the case anytime you want to charge your device. It also has a multi-protection system that provides all-around protection for your expensive device against over-charging, over-voltage, over temperature and over-current, provides a safe charge to protect your devices. This is charger is cheaper than expected. Check price on Amazon. This one is coming from Yootech and the charger also support both vertical and horizontal charging. It is also compatible with iPhone Xs MAX/XR/XS/X/8/8 Plus,10W for Galaxy S10/S10 Plus/S10E/S9, and all Qi-Enabled Phones. It comes in two pieces inside the package, you place and charge with one stand at home, and one at your office. Or you can take one of them as a backup if you have two or more mobile phones that are Qi-Enabled. The charge also uses protect technology to protect your phone from overcharging and overheating. For daily use of the wireless charger, please make sure there are no metal objects in the charging area including your phone case.